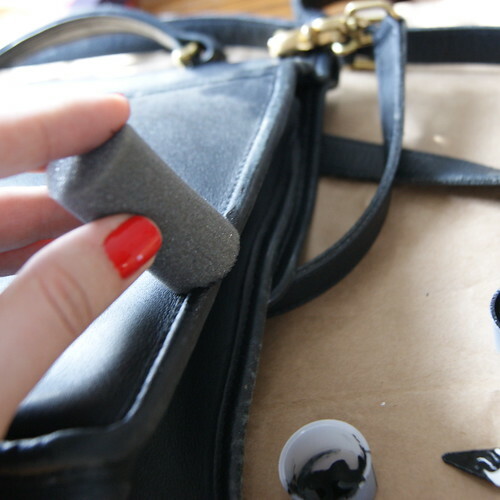 The kit comes with 7 paint pots so that you can mix the colors so it will match the color of your leather. 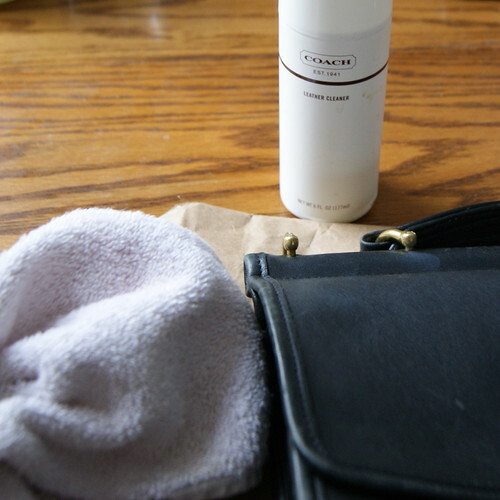 Since my purse is black, I didn't have to mix any colors together. I put a scoop of the paint into the mixing pot, added a few drops of water as directed, and brushed the paint onto the leather. Next I used the sponge supplied to distribute the color all of the areas that needed it. If I had one piece of advice here it would be to wear gloves which I don't have at home, so I ended up getting some of the color on my fingers. It came off fairly easily but gloves would have been preferred. I then let the bag sit for 24 hours. The directions say that you can do several coats of color, but I decided to only use one coat as the worn areas were pretty well covered. 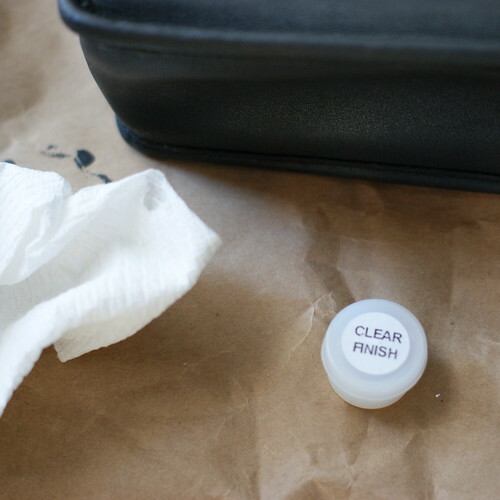 After 24 hours, I applied the clear finish with a paper towel. Some of the color does transfer onto the paper towel, but I didn't see that any of the worn areas were any less colored, so it must just be the residue paint. I then let it sit for another 24 hours. 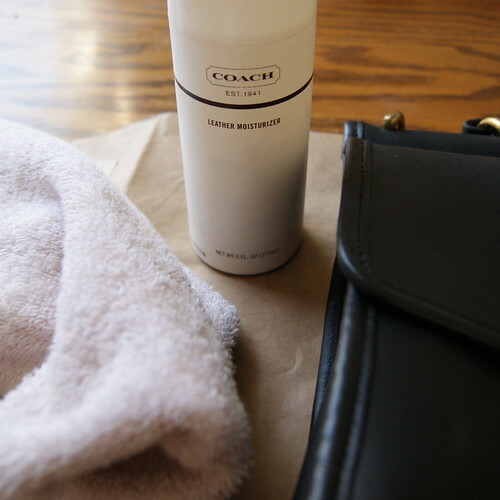 I also have the Coach moisturizer, so I used that to moisturize the entire purse with a clean cloth. I noticed hardly any color transfer during this step so the clear finish seems to really work in locking in the color. I used a dual sided jewelry cloth that I've had for about 10 years now. The cleaning side was used to remove any of the paint that accidentally got on the metal, and then the polishing side was used for polishing. 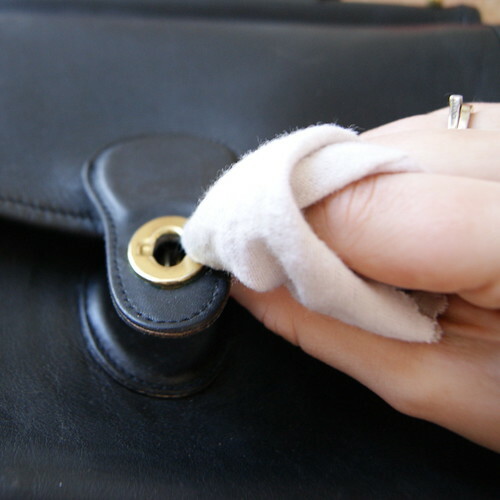 The hardware on my purse also had a bit of wear on it so you can't really polish that off, but that is to be expected. I'm really happy how this little restoration project worked out. 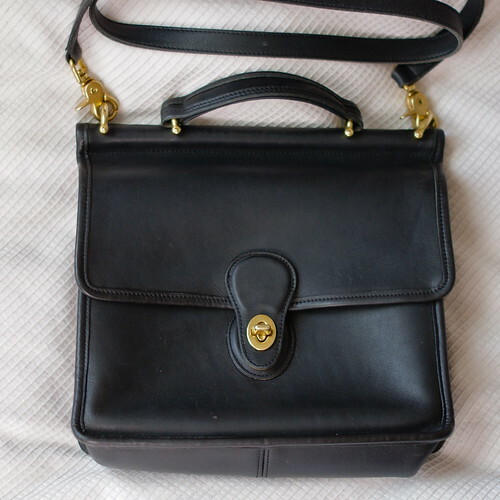 I think the purse looks almost brand new, and for 1/6 of the current price. 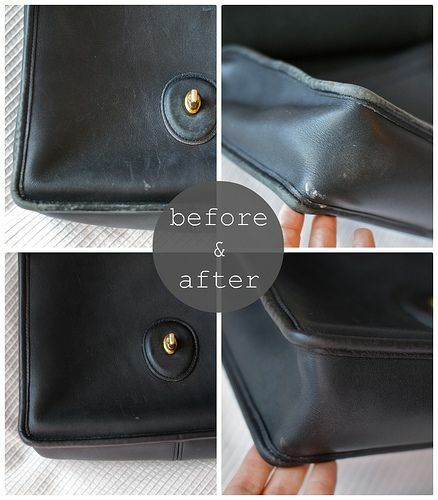 Do you have any experience in restoring leather goods? I'd love to hear about it!